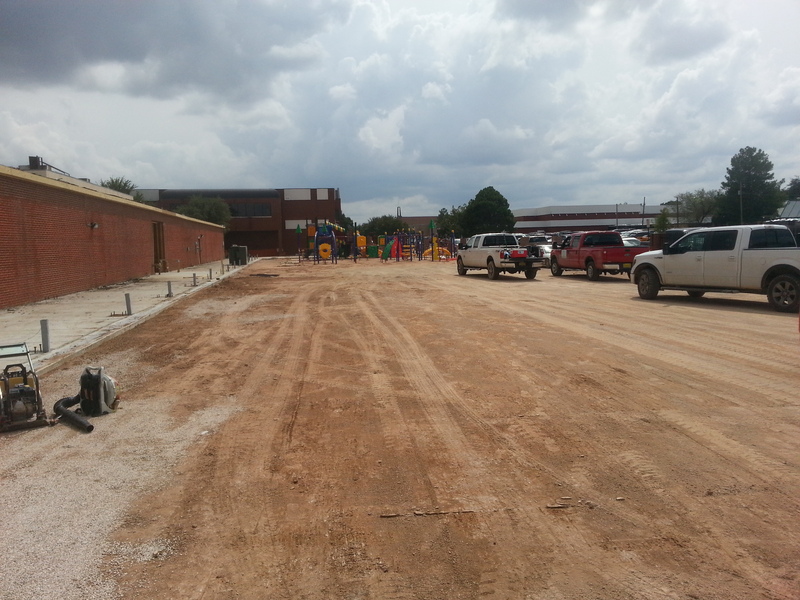 We are about half way done with this 23,000 square foot playground installation at a Christian School in Midland. PlayBase™ in Europe, a Cradle to Cradle base system for playground surfacing. 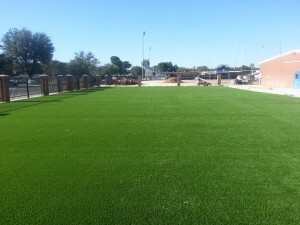 After building over 500 playgrounds successfully in Europe, Brock PlayBase™ was launched in 2012 in North America, and is distributed by Southwest Greens, a Berkshire Hathaway company. 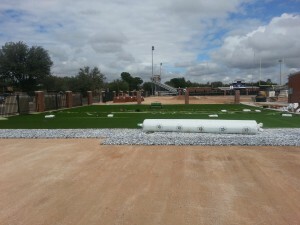 Brock PlayBase™ can be used under synthetic turf. 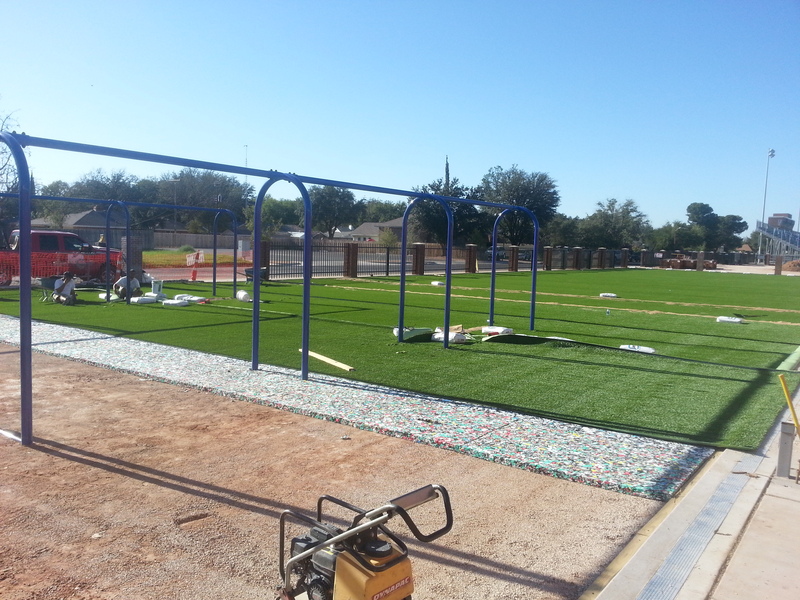 The installation is faster and results in a more consistent, safer and longer lasting Base system for playgrounds. PlayBase™ is designed to create a 100% consistent surface with an elevated degree of safety, year after year, in any climatic condition. 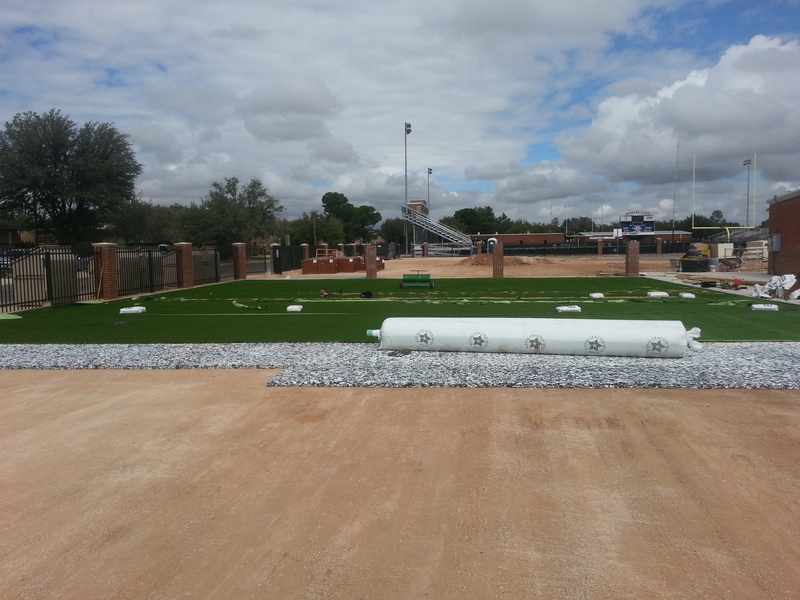 The performance of the PlayBase™ system remains consistent in cold and warm temperatures and as a closed-cell foam, is non water absorbent. Brock has eliminated the concept of waste with its innovative performance systems. It is designed with life cycles that are safe for human health and the environment and that can be reused perpetually through continuous recovery and re-utilization. Cradle to Cradle™ Silver Certified for environmental sustainability. No landfill costs or environmental consequences. Allows for simplified base construction with less damage to the natural environment. This particular project we were contracted to do the installation so the cushion in the pictures is not the Brock PlayBase™ as all materials were provided by the contractor. 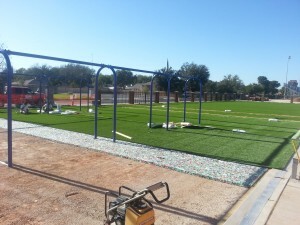 Should you want a playground from Southwest Greens you will get the Brock PlayBase™ system. Feel free to contact us for a free estimate.